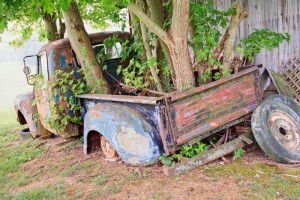 “How much will I get for my car?” That’s the first thing we want to know when we’re considering letting go of our four-wheeled-wonder, right? If you’ve had opportunity to speak with us, you know that we’ll ask a lot of questions to be sure that we’re carefully assessing the best process for your particular donation because, like you, we want the highest donation dollars possible. There are a few key factors in determining your tax receipt amount. The vehicle’s year, make/model, and mileage are all important. The re-sale market condition in your area impacts our hopes of seeing successful auction re-sale. The condition of the interior/exterior make a difference, too. And there is one more determining factor — the one thing that we have no control over, but that is having the biggest impact on just how many zeros you’ll see on your tax receipt: the value of metal in Canada. This correlates directly with fluctuating oil and gas prices. You may have been checking around at your local scrap yards to see what they’ll offer for your ’98 BMW, or that still-drivable Jimmy? Perhaps you’re finding that they’re not offering more than a few dollars, that they’ve turned you away at the gate, or that (in some parts of the country) they’ve even asked you to pay them to take your car? The instability of a country such as Greece causes uncertainty in global markets. Global markets trade, among other things, metal, and investors are reluctant to spend when a country is unstable. This causes demand to drop and supply to increase (due to low sales); this drop in demand causes the drop in price for metals. For some detailed (and we do mean detailed!) information on some of the many moving parts related to this issue — everything from the price of oil to international markets to various metals — read this article from the Recycling Product News website. If you donate a car that can be sold at auction, and kept on the road as it serves a happy new owner, we’ll facilitate that through as-is sale to the highest bidder. 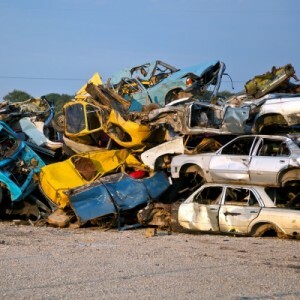 If your car is recycle-ready, our supporting recycle or scrap yard will buy your vehicle for the metal they can re-sell to metal processors in North America (to our neighbors down South), or offshore (China and India are major buyers). They also attempt to re-sell serviceable parts here at home so, even if metal values are low, our cooperating agents may be able to make up for some losses by selling individual pieces. You can see why we ask the pesky question, “Are there any parts missing?” Our guys in the field are working hard to pay for fuel in the tow truck tank and bread on the table through every salvageable part! This is great for the environment as nothing’s wasted, and it ensures that our supporting tow companies and auction houses can continue to serve us by providing free tows and donation returns. Metal values are low today, but our contacts in the industry assure that it just takes a little time for these things to sort themselves out; we can expect to see an increase in due time. 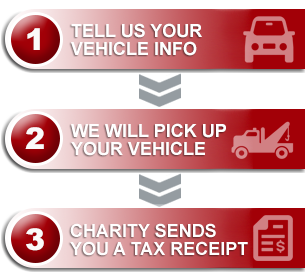 If you have curiosity or concerns about this aspect of your vehicle donation process we welcome your call or email query. We look forward to hearing from you!